Time to promote an Etsy shop! Many of you are familiar with Etsy, but for those of you that aren't - Etsy is an online marketplace with all sorts of lovely handmade and vintage items for sale. It's a known fact that if you head over to Etsy, you could be there for a long time looking at so many pretty things! The other part that's fun to me is helping support so many women - wives, moms, and more - as they express their creativity and help support their families (though Etsy is not just for women). 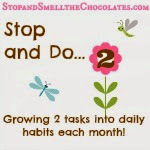 Nicole RJ is a reader of my blog and even helped provide a giveaway for my 1 year Blogiversary last year! She currently has 2 Etsy shops - both very cute! Look at this lovely necklace she created! Nicole RJ has another cute shop - it's called RJ Charms. 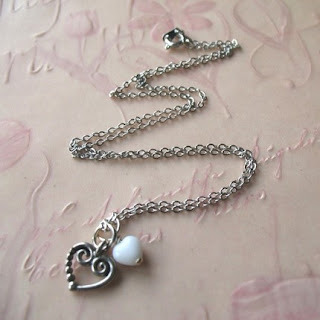 I have this necklace - I love how simple and dainty it is! 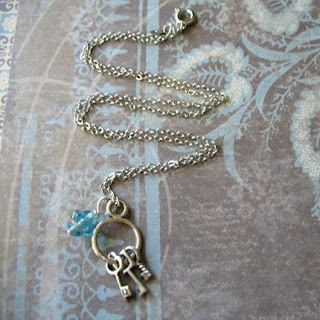 Here's another cute necklace - love the keys! 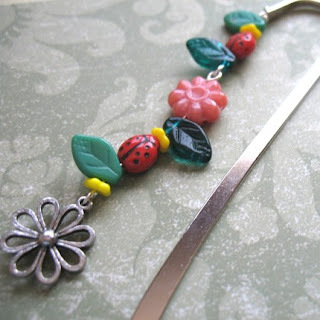 She does bookmarks too - this one would be cute for Spring! I can tell you personally that Nicole's items are well-made and come neatly wrapped in tissue and ribbon. And her items - especially the charm items - are very affordable. How to enter: Visit Designed by RJ and/or RJ Charms then come back and leave a comment telling me an item or two that you like the best! That's it! This giveaway will remain open through Friday 3/19 and winner will be announced on Saturday 3/20. 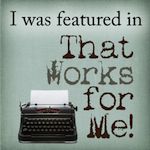 Disclosure: I did not receive any free items from Designed by RJ. My opinions are based on items I have purchased from her shop and she generously provided a set of earrings to give away. 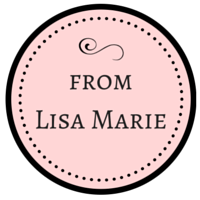 Be sure to tell her Lisa sent you! Thanks friends! Have a beautiful day! 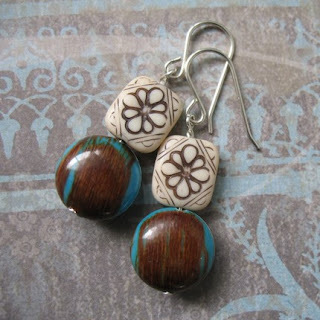 I like so many it was hard to choose but I went with the Erin Ceramic and Copper Earrings. Adorable! The Honeysuckle ones you have a pic of are cute too. VERY cute things. I really like the Cowgirl Up necklace and the Tweeting in the Rain necklace. Too cute. Big Etsy lovin size hugs to you! I like the Tick-Tock and Spot of Tea necklaces. 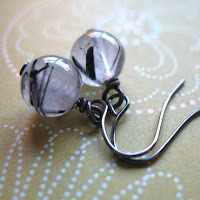 I like the Funk Bitty Drop Earrings, as I wear a lot of black and these would go perfect! I love the enchanted necklace!! I went to her Etsy site and looked around and liked the vintage drop earrings, but I think the spring bookmark you pictured above is my favorite item. Can I just say that i love them all.. that is great work. Wow, I got to the Designed by RJ site and found so many beautiful things. I was immediately drawn to the Starlight earrings, then I went to page 2 and saw Little Lovies. I like the blue the best but the purple and pink ones are also nice. She does have great prices and products. love the stacker earrings, but the lilly loves too. so much to choose from and great prices. Id say I really love the "little lovelies"...in any color! Just adorable! 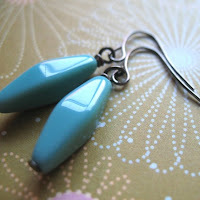 I like the Olivine Bitty Drop Earrings as well as the Funk ones. 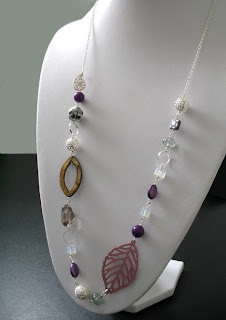 I also like the Convertible Agate Necklace! Love that you can wear it several different ways! I liked the "Funk. Bitty Drop Earrings." the best. Such a hard choice...I love them all. 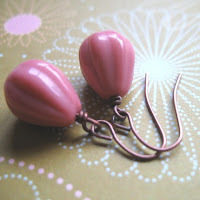 But especially the Pink Stacker Earrings! I like Stacker Earrings in Pinks. It was hard to pick only two! I liked the Funk. Bitty Drop Earrings and the Little Lovelies Earrings in blue. My wife would love the Taste of Morocco (Green) or So White earrings if we won. Very nice work!